On the 2nd of May the global YouTube homepage and many of the local YouTube homepages from various countries will be featuring nothing but parkour videos for a 24 hour takeover. Parkour Generations & our filmmaker Julie Angel have been invited to be guest editors to work with YouTube and present 12 films from the global parkour community. Known as a 'Takeover Day', this event will give incredible new exposure to the grass roots of the discipline and will bring it to a whole new audience. 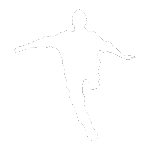 The videos have been selected to show the international nature of parkour and the day-to-day nature of practise as opposed to the media spectacle that is so often given the limelight, and the eclectic range of edits comes from many of the global communities that Parkour Generations has had the pleasure of working with. Tune in on May 2nd..! Versteh ich das richtig, dass auf Utube nur PK Videos an dem tag kommen sollen? yop, auf der main-site für 24 std.